There are a few different ways of storing wines. They can be kept in a wine cellar, in custom wine racks perched on a kitchen countertop, placed in a corner of a room, or stacked carefully in a wine cabinet. Of all the aforementioned wine storage solutions, wine cellars are deemed the best place to store and age wines because they are designed with a climate controlled environment. 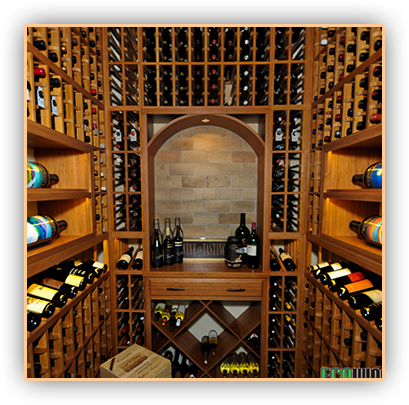 Since not all wine collectors have access to a private wine cellar, wine cabinets Chicago can serve as efficient and affordable wine storage solutions. A wine cabinet functions like a mini wine cellar because it can provide the best possible wine storage environment on a smaller scale. Hence, they can be used for either short-term or long-term storage. 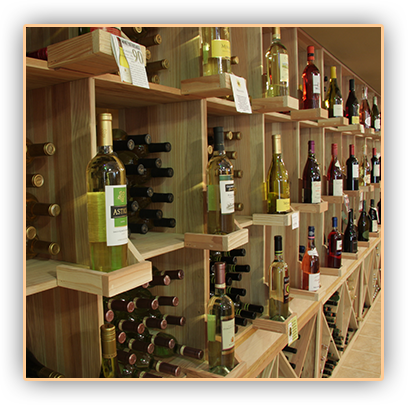 There are two types of wine cabinets: passive and active or refrigerated. Passive wine cabinets are not affixed with temperature and humidity controls. 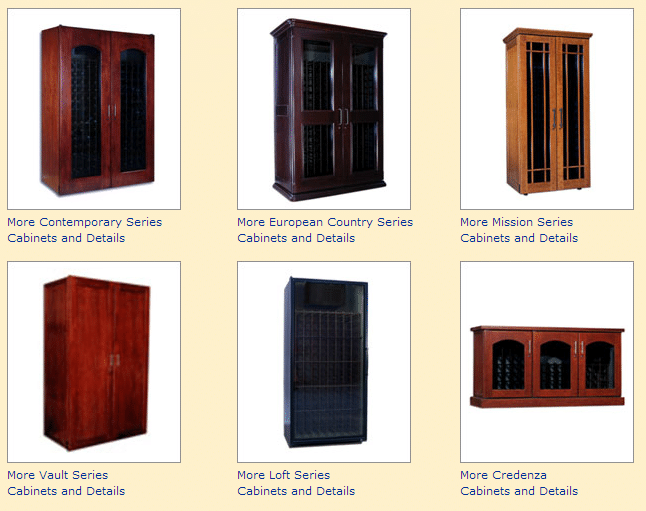 Most of these cabinets are constructed from wood and have various total bottle capacities. 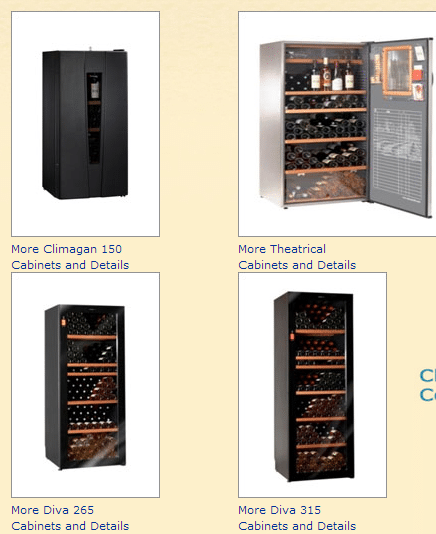 These storage cabinets are ideal for holding consumable wines. Like active wine cellars, refrigerated wine cabinets are equipped with cooling systems that help maintain temperature between 50 and 59 degrees Fahrenheit, and regulate humidity levels within 60% to 75%. Fluctuating temperatures can cause premature aging in wines, while constant humidity changes can dry out the corks and cause molds to grow. Some wine cabinets have dual zone features that provide independent temperature controls. This setup allows for two separate storage compartments for different types of wines. These wine storage solutions are also known for their vibration free and whisper quiet operation. To protect wine bottles from incandescent light, wine cabinets are outfitted with LED based lighting. LED bulbs generate less heat and don’t give off ultraviolet rays. Some of these cabinets have adjustable light features that can help minimize exposure of wine bottles to light. 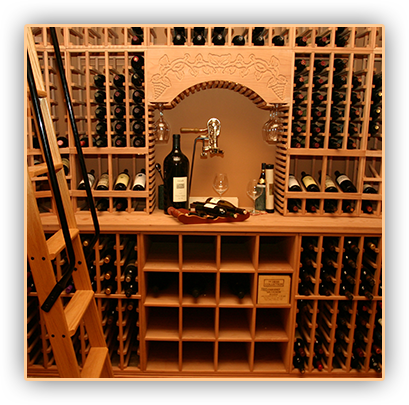 A wine cabinet comes with custom wine racks that allow for horizontal storage. Laying wine bottles on their side allows the cork to continuously come in contact with the wine. Keeping the cork moist is essential to preserving the taste and flavor of wines. A dried out cork can promote oxidation that could potentially ruin the quality of wines. 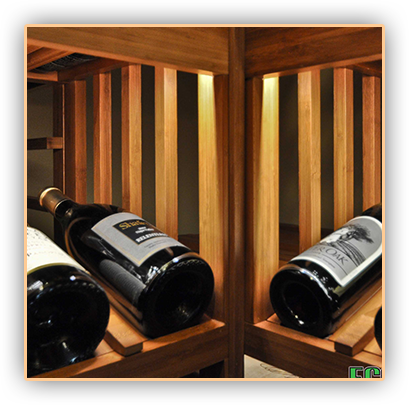 Wine cabinets are built with proper ventilation to facilitate better air circulation. This will prevent unwanted smells and odors from penetrating the cork and spoiling the wine. Good ventilation will also restrict possible mold infestation. They are also multifunctional, because some of them are designed with stemware racks that allow wine glasses to be hung right in the cabinet. They may also come with drawers that can provide a storage space for various wine accessories such as corkscrews, stoppers, decanters, and other wine related items. 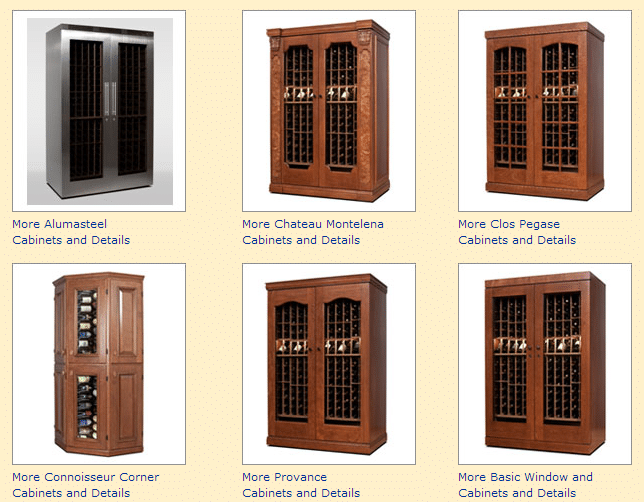 A wine cabinet is available in different storage capacities. They can accommodate regular sized bottles to magnums. They have sufficient space to store a few bottles to over a hundred wines. In terms of aesthetics, their sleek and stylish designs can match and complement any home décor. Wine cabinets are convenient and economical wine storage options for wine enthusiasts who can’t afford their own wine cellars. They provide a climate controlled environment wherein wines can mature nicely. These cabinets also protect wines from breakage by providing secured storage spaces. This entry was posted in custom wine racks, wine cabinets, Wine Storage and tagged custom wine racks, wine cabinets, wine cabinets Chicago, wine storage by CustomWineCellarsChicago. Bookmark the permalink.